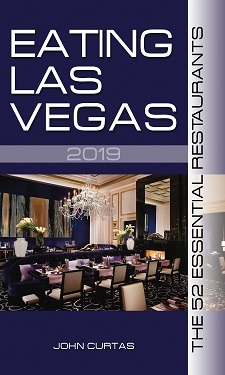 Le Cirque (Las Vegas) celebrated its twelfth birthday last October, giving ELV pause to reflect upon what it has meant for our culinary scene over that time. As arguably the best known restaurant in America (only Spago and the French Laundry compete for a higher Q rating), it continues to thrive, through thick and thin, throwing its thoughtful, thrilling, threshold of theatricality into its thirteenth year…and we’d like to theorize about why we’re so thankful for its holding all of Las Vegas in its thrall. So why does Le Cirque matter? > The Maccionis were the trail blazers who led the first gourmet stampede to our humble burg. > Because a Le Cirque has been in continuous operation (except for a one year, New York construction haitus in the mid-90s), at the highest level of fine dining, since 1974. > It consistently has the best service in town. > It’s the right size (65 seats) — reminding you of an exclusive European dining salon — not some convention-crowded-behemoth-of-a-food-factory. > The lighting is perfect — not to dim or too bright — and flatters everyone. > Ditto the noise level. > Because Adam Tihany’s fabric-strewn, red/yellow/blue/gold jewel box of a design has aged remarkably well, and is just as impressive a dozen years on as it was the first time we walked in. > Through Marc Poidevin, David Werly, and now Art Swafford, the food has remained remarkably consistent and true to its New York/Franco/Italian roots. > The desserts (now being done by Philippe Angibeau) are always nothing short of fabuloso. > That food, while not cheap, is still the best deal in gastronomic dining in town. > The welcome (the accueil in French) is one of the warmest anywhere, thanks to G.M. Ivo Angelov and his comely staff, and makes everyone feel special. > 2009 Sommelier of the Year Frederic Montadon commands a wine list that is manageable and interesting, and won’t require a pacemaker adjustment — although he’s more than happy to sell you some Domaine de la Romanée Conti should you insist. > Bartender Gene always remembers what you had to drink the last time you came in. > The tiny, 7 seat bar is the most civilized in town. > You feel like a big shot the second you walk in the place. > Sirio Maccioni is the last of the great ones — restaurateurs who took America by the hand in the stuffy, moribund 1970s and showed it that great food and restaurants could be fun and aspirational — and that there was an art to making people feel welcome and special in their establishments. Our favorite Sirio quote is: “We are not in the food business, we are in the hospitality business.” Truer words were never spoken, but the food he and his family and staff have been serving for 37 years has always been the equal of his accueil. Great piece ELV. Le Cirque will always matter and the quotations and lessons of Mr. Maccioni and his family should be required study for those in the business who wish to rise to an exceptional level. Exceptional piece John. Vive Le Cirque! Well said John, with all the other “new” spots one likes to try we often forget that one of the best places in town has been there for 13 years. Nicely said, Mr. ELV. The enduring success of Le Cirque continues to give me hope that truly fine dining can never really be considered “dead” in Las Vegas. Funny the Managers at Circo are not nearly as happy to see you walk in the door as you are happy to be there. They cringe when they see your sweaty visage pop in begging for more free vittels. No joke. I’ve witnessed it and know all of the management there well. ELV responds: Who peed in your cornflakes Haha? This food looks gimmicky with elements on the dish that dont make sense and are outdated. What up with the candy cage. Thats just stupid. Went there Saturday night. A couple great drinks at the bar. truffle tasting menu was outstanding as was the service and the pace. Ivo the GM came to our table and was very friendly, especially thanking us as locals for coming in. The sommelier was also great, can’t remember the champagne he served us but wow was it good, tiny little bubbles!! The only thing that was a problem and the reason for this post goes back to one of your pieces last fall about how some people dress at these fine dining establishments. How about how some people act?? There was a group of 5 young asian couples sitting at the next table. They spent more time on their phones showing each other pictures than they did dining. Hell one of the couples was watching a movie on their phone with the sound on!! John while they were all very well dressed I guess class just isn’t something you can buy. Had a glass of the Van Winkle to calm my nerves before heading home….nice! !